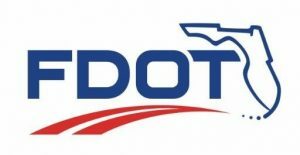 The Florida Department of Transportation (FDOT) will hold a public hearing Thursday, Sept. 20 from 5-7 p.m. about safety and operational improvements along State Road (S.R.) 436 between Spring Oaks Boulevard and Montgomery Road. The hearing will be held at The Florida Conference of Seventh-day Adventists located in Altamonte Springs. The hearing will begin as an informational open house at 5 p.m., during which time displays and other project information will be available for review, and staff will be available to discuss the project. A presentation will begin at 6 p.m., after which participants may provide their verbal comments to all present. The project proposes to remove the westbound left turn lane into the Ashby’s Square shopping plaza, and lengthening the two eastbound left turn lanes onto northbound Montgomery Road. This will eliminate eastbound left turning traffic at Montgomery Road overflowing into the inside through lane on eastbound S.R. 436, improving safety and traffic operations at the Montgomery Road signal. Persons with disabilities who require special accommodations under the Americans with Disabilities Act or persons who require translation services (free of charge) should contact the department by phone at (407) 508-0839, or via email at kelly@valerin-group.com. If you are hearing or speech impaired, please contact us by using the Florida Relay Service, 1-800-955-8771 (TDD) or 1-800-955-8770 (Voice). Project information is also available online at CFLRoads.com. Search by 991800-3, the financial project identification number. For media inquiries, please contact the FDOT District Five Communications Office at d5-pio@dot.state.fl.us or by phone at (386) 943-5479.